One thing I would love for all couples to know is that you don’t have to follow the rules on your wedding day. We tend to plan our big days down to the second, and stress over considering any and all things that could possibly go wrong. But I’m a big believer of letting go of expectations once the moment arrives, and that spontaneity is often what brings the most fun and lasting memories. So when the bride says, “Man, I could really go for a Junior Bacon Cheeseburger,” a trusted photographer, like ones from the JPG Photography team, will tell the trolley driver to turn around because we’re stopping at Wendy’s. 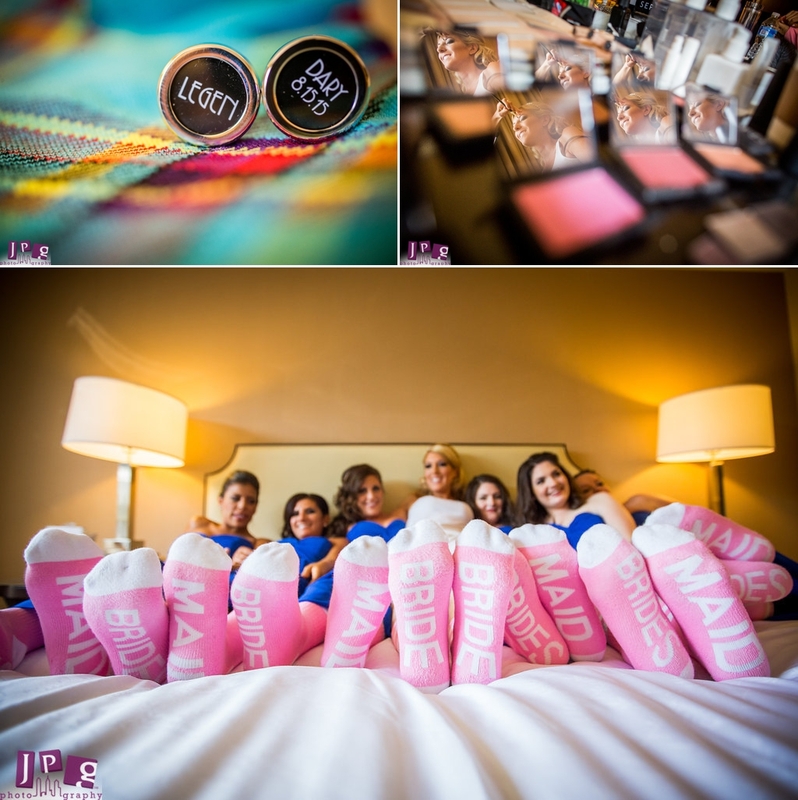 This and many other fantastically unexpected moments are what really made Jennifer and Jonathan’s Cescaphe Ballroom wedding stand out. The award-winning shots of Jennifer and Jonathan feeding each other fries at Wendy’s happened after a great first look at Race Street Pier. 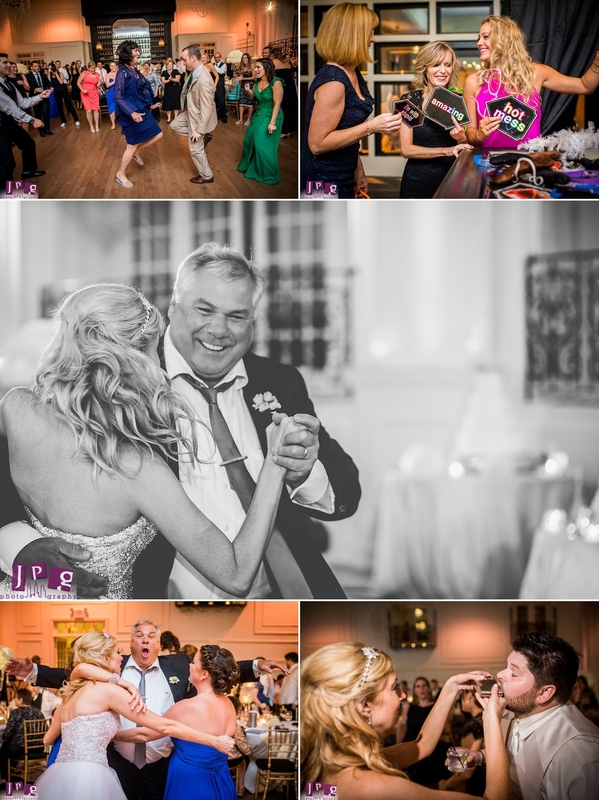 Sometimes couples get teary eyed during this personal moment, but this pair was all smiles and laughs. 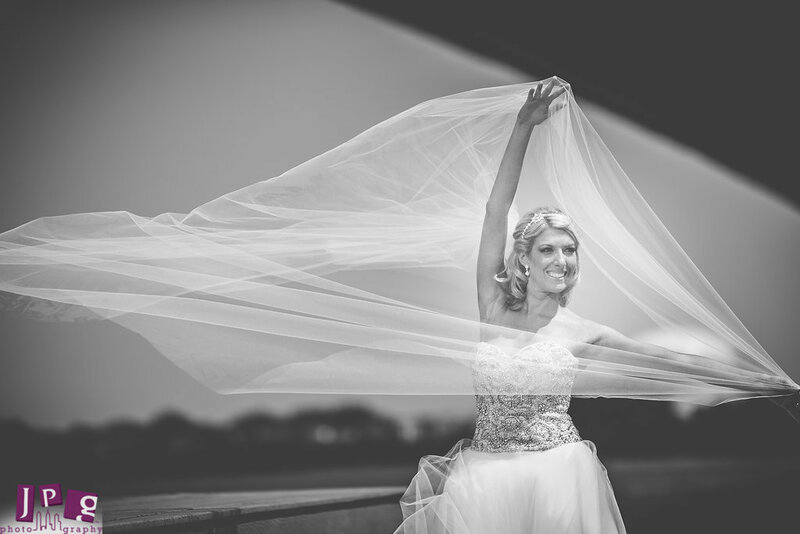 Some of the portraits by the river were accented by Jennifer’s killer veil, which worked wonders in the wind. Shortly after, Jennifer confessed her “JBC” craving, and the bridal party briefly took over the Wendy’s at 11th and Walnut. 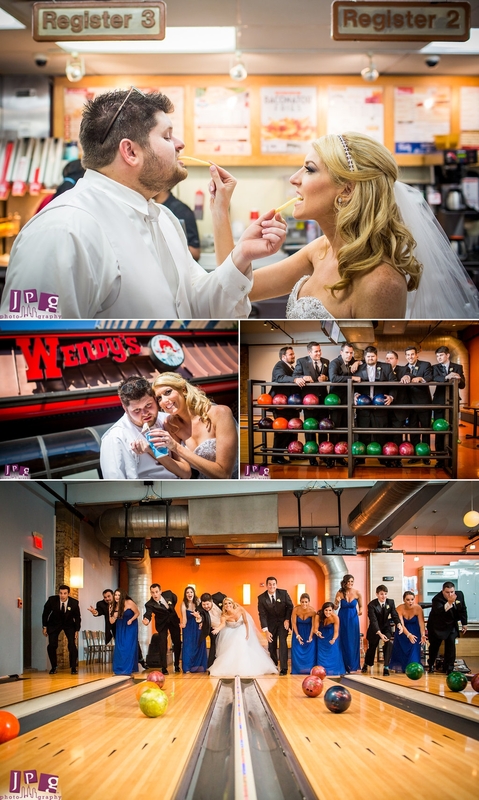 Capturing a bride and groom ordering a frosty would have been enough to satisfy my photographer heart, but the fun kept rolling on, literally, when the party went bowling at North Bowl. We documented the good times and got group shots that are colorful and quirky. 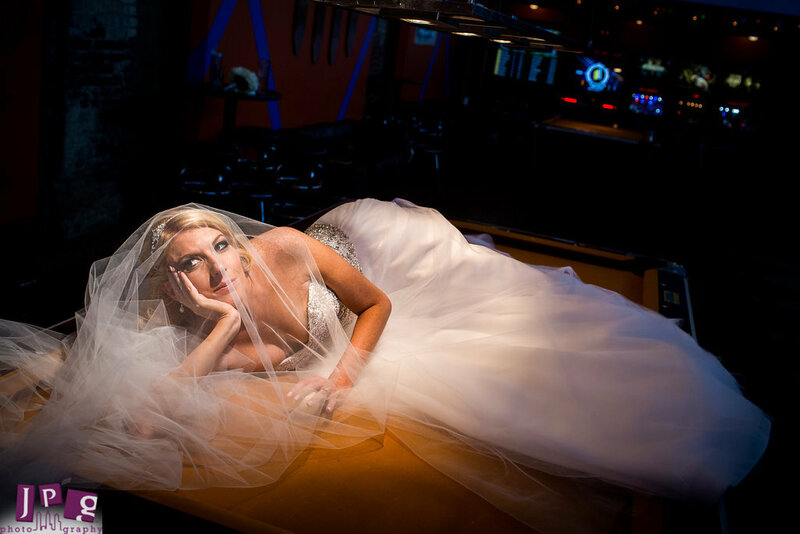 I especially love the shots of Jennifer again making use of her fabulous veil as she posed on a pool table. It’s hard to believe that after all this revelry, the day had just begun. 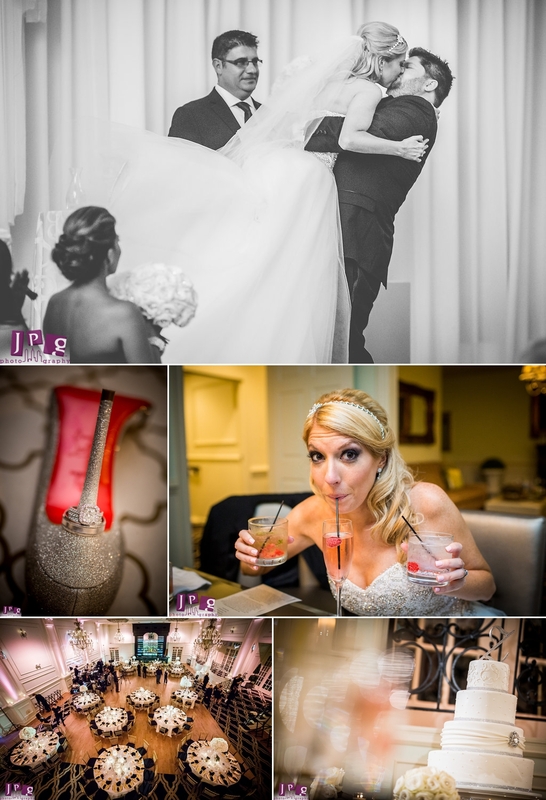 Jennifer and Jonathan’s sweet ceremony and reception took place at the Cescaphe Ballroom, a classic and beautiful venue. They wrote their own vows, and had an incredible first kiss during which Jonathan picked up his new wife. 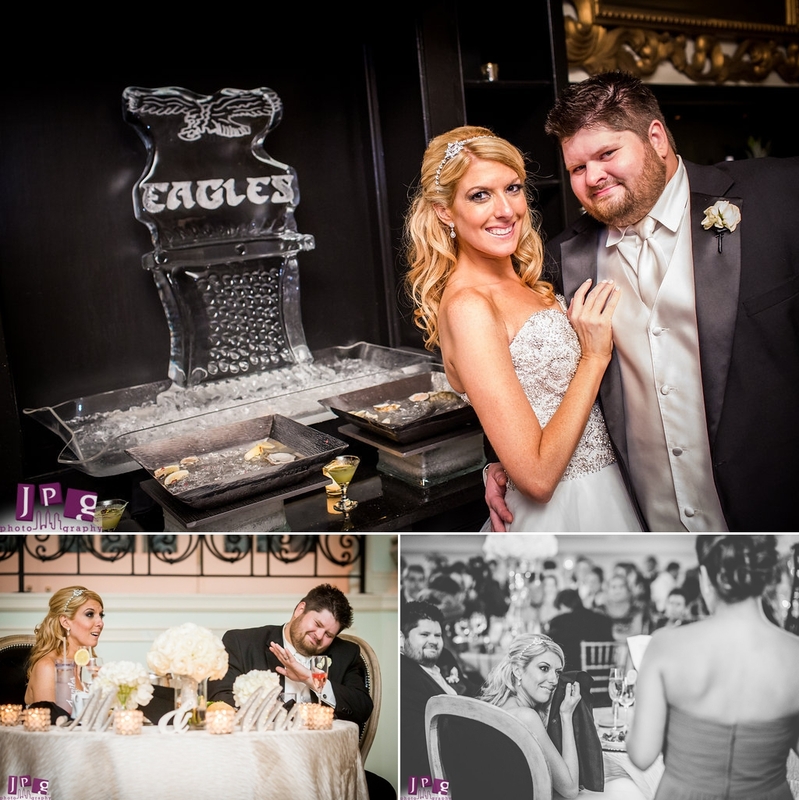 Details were not overlooked, and included a Philadelphia Eagles ice sculpture (Jonathan is a huge fan and former football player) and a flower petal canon which dazzled guests during the first dance. The magic was brought to life with the talent and skills of DFW Event Design. We’ve had the pleasure to work with them a few times, and between their easy-going attitude and impressive results, it’s easy to see why they have a five star rating on The Knot. 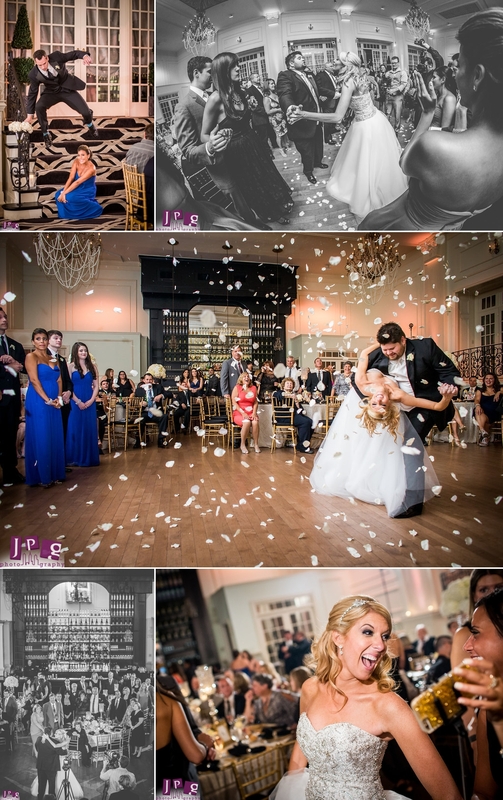 Throughout the day I watched Jennifer and Jonathan adjust from fast food joints to bowling alleys to one of the most elegant venues in the city, all with a spirit of spontaneity and merriment. Their day was an absolute blast, and free from stress. I hope other couples have this same inspiration, approach their wedding as an adventure, and invite JPG Photography along for the ride.